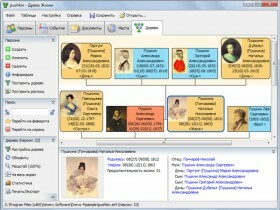 1 How to make a family tree of family? 2 How to make a family tree, scheme? 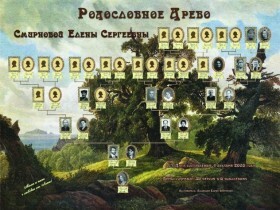 In fact, create genealogical family tree, worries many. Just a little, who for that matter is taken. people consider, what, not knowing the genealogy, This work can not afford. wrong. 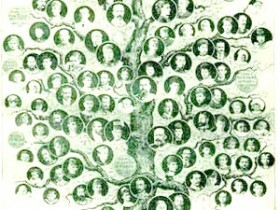 Create family tree can be themselves, even without understanding in this area. Why is it necessary? Even then, to trace their family history. Learn all their relatives. Can, who - one of them was a great man. Yes i simply love interest, gratify their curiosity. How to make a family tree of family? Because, we live in step with technological advances, today to make a family tree is easy. Just choose the right program and install on your computer. Good program - The Tree of Life. so, where to begin? Of course, with himself. Open the program from the downloaded and recorded all the information about themselves and their close relatives, whom we know. Do not forget about the photos. But, can turn, that information will not be enough, then you have to go to a personal meeting, armed with a tape recorder. Council: it is not necessary to invite to a meeting of all simultaneously. This is wasted time and nerves. Too many disputes and unnecessary conversations can happen. Another recommendation. Better to start with the old men. They know more and deeper insight into the history. To save time on the survey, it would be good to make a list of questions in advance. Here is an example of several. Place of Birth, study and work. Who was married, amount of children. Date and place of death. And in this spirit. Upon learning of the place of residence of other relatives, It can be with them to phone or chat on Skype. After all, you will not go to every. So, the chain, communicating, You can find all their relatives. In case of emergency, The search is performed over the Internet. the main thing, know, who seek. It would be good to attach to this necessary business respondents themselves. To start, tell them, create family tree, as exciting. During the search, you can come to a standstill, because many have already died. To do this, there is an archive. Delve into the pieces of paper, or make a request online. But, be sure to check all the information, so as not to collide with the namesakes. How to make a family tree, scheme? gathering, all the necessary material, We proceed to the construction scheme. If a program is downloaded, the build, following the instructions. well and, if you decide to build your own, it is important to determine, on what basis do it. There are several ways to build: paternal and maternal lines, ascending and descending the tree. In the form of a table or tree diagram. Take the drawing paper and start. In the center of the table people, for which the circuit is made. The matrix is ​​divided into two parts. right, eg, father ancestors, and the left - mother. Under each name can be stuck envelope and put in his papers, Photo. If you build the scheme on the uplink in a tree, then it will look like this: trunk, symbolizing the main man. Depart from the trunk large branches - the parents. Smaller branches - grandparents. And so on. In short, when constructing the tree, You can fantasize as you like. the main thing, not misrepresent. It is important to understand, create family tree. Then this activity can turn even a hobby. Are there such people, I am not interested in the origin of his family? Hardly.